I like to rustle through the colourful fallen leaves, so I am not fastidious about raking them up immediately – they will do no harm for several weeks and will provide food for worms. After too long, they will start to damage grass and provide slug heaven, so I will have to pick them up and make leaf mould! Greenhouse: clean the glass to maximise light. The RHS says to disinfect staging and pots, but, if you have biological control agents, e.g. Encarsia wasps for whitefly, this will wipe them out and you have to start them again. Sow broad beans and plant garlic cloves now. Suspend a garlic clove over a jar of water using a cocktail stick. If the base is just touching the water, roots grow in a day or two…MAGIC! You can do the same with an avocado stone, but it takes longer for the root to grow. 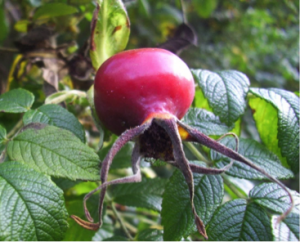 Children may like to grow conkers, sweet chestnut, acorns, hazel nuts and walnuts. They need to be cold over Winter in order to germinate, so put in a pot in a cold frame, or in moss in a bag in the fridge. Warning: they produce BIG trees eventually. Winkworth Arboretum for Autumn colour open for NGS on 1st October, open National Trust all year 10am-6pm, except Christmas.